Also read the update on the spare parts situation. Are you one of the roughly 1.5 million people in the world with a Saab car? And now maybe you worry about what will happen when your car needs service or parts? Then read on. The bankruptcy filing did not include Saab Automobile Parts AB (Saab Parts). 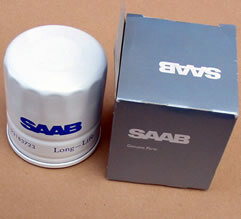 Saab Parts, which is based in Nyköping Sweden, is the company responsible for and with the rights to sell genuine Saab spare parts to distributors all over the world. This means everything from a new door, hood, engine, wheel hub, brake rotors to the tiniest parts like a screw, a bolt and a nut. Saab Parts owns its own infrastructure and equipment including IT and logistics system and has contracts with the suppliers of spare parts as well as with customers/distributors all over the world. Saab Parts IS NOT bankrupt. Saab officials say that spare parts will be no problem in the future. But why is that? The answer is simple. Saab Parts is actually a very profitable company. In 2010 (a year when Saab sold almost no new cars) the company had a turnover of SEK 1,697 million, made a profit (after tax) of SEK 391 million and the operating margin was 33.6 percent (average for Swedish companies was 11.6 percent). Even though Saab Automobile is bankrupt, there is about 1.5 million Saab cars out there and for at least the next 10 years there will be plenty of money to be made by Saab Parts. And there are of course companies and investors out there who would love to own a company that has an operating margin of 33.6 percent! Some of you may think that this can't be true, because you have already experienced trouble getting parts to your Saab the latest six months or so. Yes, it is true that there has been trouble getting some parts the latest months. The reason is simply that the subcontractors which make these parts for Saab Parts, have not been willing to supply Saab Parts since Saab Parts is a subsidiary of Saab Automobile and Saab Automobile had millions of Swedish crowns in unpaid bills to these companies. But now the situation has changed. Saab Automobile filed for bankruptcy on Monday and the management and owners of Saab then lost all control over Saab Parts. Saab Parts is now controlled by the bankruptcy administrators and might eventually be controlled by the state of Sweden. (Reason being that Sweden has guaranteed Saab Automobile's loans in the European Investment Bank and the collateral for the loan was the shares in Saab Parts.) This means that the subcontractors can once again start supplying Saab Parts with parts because now they know that they will get paid and the company which owed them money (Saab Automobile) will not make any profit from selling the parts to their customers. That's the simple explanation. Now over to the more complex assessment of the different Saab car models. First of all, if you own a Saab 9-3 you have no reason to worry. The 1998 - 2003 Saab 9-3 and the 2003 - 2011 Saab 9-3 have been produced in hundreds of thousands and there is a huge market for both the Saab Parts company and any non OEM parts manufacturers and sellers. In addition, there are thousands of cars being scrapped each year which should make it possible to get cheap second hand parts as well. The same goes for anyone owning a 1997 - 2009 Saab 9-5 (the old 9-5). Hundreds of thousands of cars and no problem. If you own an even earlier Saab, like the 900 og 9000, nothing has changed for you with the bankruptcy. These cars have been out of production for over a decade. Service and wearing parts will be produced as long as there is money to be made for the manufacturers and body parts etc were produced by Saab for stock several years ago. But what about the new 2010-2011 Saab 9-5? Of this model there were only produced approx. 10,000 cars, which does of course make the market smaller and make it more difficult to make money for both Saab Parts and OEM parts manufacturers. Thankfully these cars share a lot of service and wearing parts like oil filters, belts, wheel hubs, brake rotors, brake pads and even engine parts with other vehicles produced on the GM Epsilon II architecture. So these kinds of parts should be no problem. What could be a problem is the Saab specific parts like hood, head lights, fenders, interior parts etc. First, does Saab Parts see a market and the chance of making money on a complete stock of Saab 9-5 spare parts? Secondly, will Saab Parts stock these parts regardsless of profitability in order to be a complete supplier to all Saab car models? I believe that if the Swedish state with the National Debt Office (which more or less now owns the company) decided that it will run Saab Parts, the chance of the company taking a moral responsibility to supply all Saab car models will be bigger than if a private investor or company takes over Saab Parts. But any company could profit from being known as the one and only complete supplier of Saab parts. The last Saab car on the list is the 9-4X. And this car has been manufactured in a very small number (around 500?). The situation is quite similar to the new 9-5 as the 9-4X shares a lot of parts with the Cadillac SRX. But what about the Saab specific parts for this car? I have no answer. Let's hope Saab Parts takes the moral responsibility to also supply these parts. "The plan is that the operations of the company will continue, and it is important for us to make it clear that there will be spare parts for Saab cars also in the future." So then I guess that the National Debt Office and the Swedish state will see to it that the future owners of Saab Parts guarantees that all recent Saab models will have spare parts for many years to come. So what about service and repairs? There are hundreds of Saab dealers in the world. And these dealers have several technicians and mechanics familiar with the Saab cars. Hundreds of these have been trained by Saab to be experts on the different Saab car models. These technicians and mecahnics will not disappear. And your local Saab dealer will probably not disappear either. It will probably change name and maybe start with another brand, but the dealer and the mechanics will still be there. And they still have the Saab specific tools too. In addition, most of the services and repairs can also be done by any work shop. Repairing a Saab is not magic.